In case you are wondering, there is more to winter tires than the name. There are a lot of differences in the design of the tire which affect the performance of the vehicle in different seasons. Knowing these differences is going to make it helpful in making the right decisions. The design on the winter tires is specialized for handling the snow. 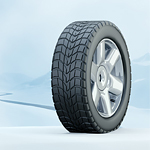 There are deeper treads and extra features in the tire which is supposed to maintain traction and bite through the snow while you are on the road. This is to avoid losing control of your vehicle. Another thing to consider is that the tires that maintain good traction in the winter are going to wear out very quickly in warmer weather. This is one of the reasons that it is better to use all-season or even summer tires in order to improve the life of the tires.